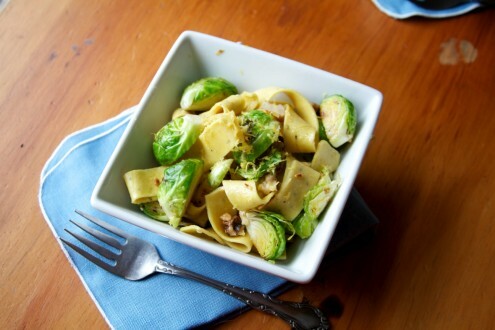 Brussel Sprouts with Lemon Pasta | Naturally. Today I spent five hours in the kitchen. I can’t tell you how much I needed that. I have eaten out far too much in the past couple of weeks but now I have a month off, I have no excuse. I went to Chicago yesterday for a lovely (and please, put a sarcastic tone on lovely) day of shopping. I forgot how much I miss living in “civilization.” I got to go to a mall, Crate and Barrel, Binny’s, Trader Joe’s, and Whole Foods. I spent far too much money but it felt so good to go shopping. My college town has a Wal-mart, the end. 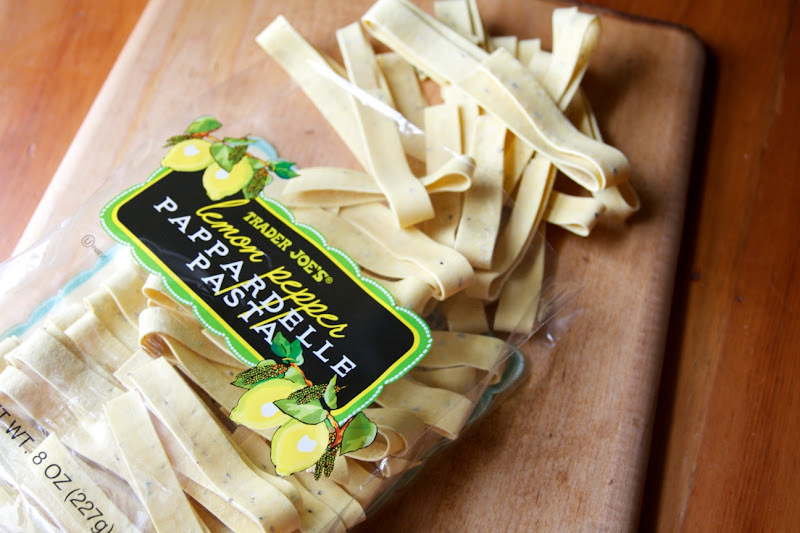 This pasta is super simple to make and taste amazing on a blustery winter day! 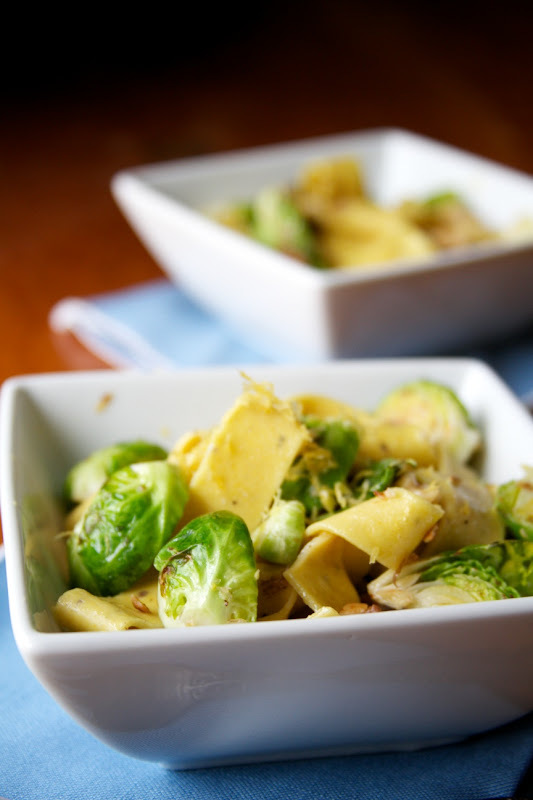 If you can’t find lemon pasta, just add some lemon zest to the cooking brussel sprouts. Cook pasta according to package. If you are unable to find lemon pasta, use regular and add lemon zest to brussel sprout mixture. While pasta is cooking, heat 1 tablespoon of oil over medium heat. Cook garlic until for one minute and add in brussel sprouts. 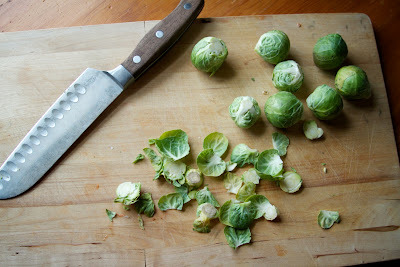 Cook until brussel sprouts are tender, about 8-10 minutes.. Toss in walnuts (and additional lemon zest if using). Continue to cook for two more minutes. In a bowl combine drained pasta, brussel sprouts, and remaining tablespoon of oil. Top with additional lemon zest and/or parmesan cheese.